THEY MIGHT be familiar with the brand, but Todd Kelly and Michael Caruso will be attempting their first Liqui-Moly Bathurst 12 Hour for Nissan in 2017. While Caruso is familiar with the demands of the team’s iconic Nissan GT-R NISMO GT3 thanks to selected Australian GT Championship appearances late last season, the senior Kelly brother will be driving it in anger for the first time this February. “I’m really excited to race the GT-R at the Bathurst 12 Hour,” said Todd Kelly, the 2005 Supercheap Auto Bathurst 1000 champion. “The car has been in at our workshop for quite a while now, and every time I walk past it, I always stop and take a second look at it. It’s a beautiful piece of race car. I haven’t driven the car yet but I’m really looking forward to the opportunity to drive it at Bathurst. Caruso, who scored his first Virgin Australia Supercars Championship win for Nissan in Darwin last year, was pleased to finally have the chance to tackle the biggest race of the GT year in the iconic GT-R.
“It’s a race that I’ve followed for the past few years, and to go there with the Nissan factory team, I’m extremely motivated to get a top result and I can’t wait to get there. 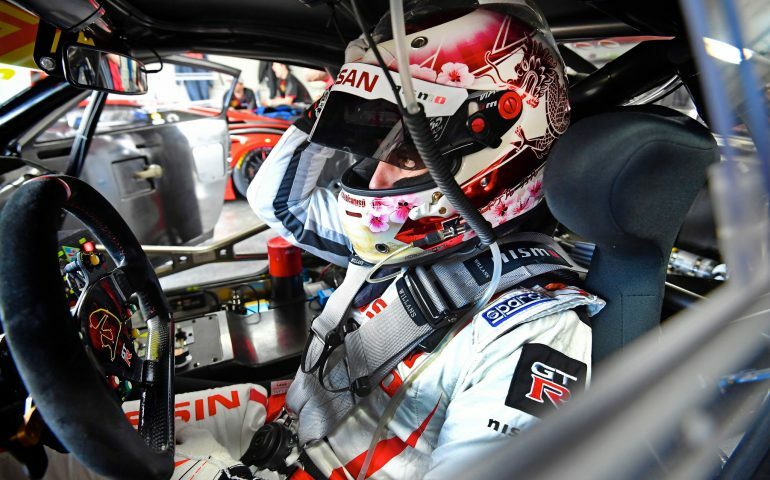 “Alex and Chiyo are both very accomplished drivers with a lot of experience in the GT-R NISMO GT3s at this track. With our experienced team, I think we have a good mix of knowledge and speed. Former winner Florian Strauss will return to the Mountain, looking to add a second Bathurst 12 Hour crown to his hard-won title from 2015. The addition of the Nissan drivers to the grid take to 10 the number of former Bathurst 1000 champions on the grid, accounting for a remarkable 30 victories, and 8 former Bathurst 12 Hour winners for a total of 10 victories.